One week ago, on March 8th, we celebrated the successes of women the world over, we took a moment to recognize how far we have come. Today, we take a moment to recognize the unevenness of this progress and the millions of women being left behind. In regions racked by conflict and food insecurity, women are often hardest hit. These circumstances have left a vast number of the world’s women and girls living below their massive human potential. This is what angers our founder James Madhier. Speaking today at Students for Change’s annual conference “Gender Inequity in Education: International Barriers and Local Solutions", James pressed upon the need for new systems. Giving women and girls the chance to exercise their full humanity on the world is a key pillar of such systems. James shared a story about a woman he met while doing research on cocoa farms in Cote d’Ivoire and Ghana. This woman asked James to take her four-year old daughter back to Canada with him, in the hopes that she may one day become an educated woman. While he had no choice but to leave this formidable young girl, her story remained with him. 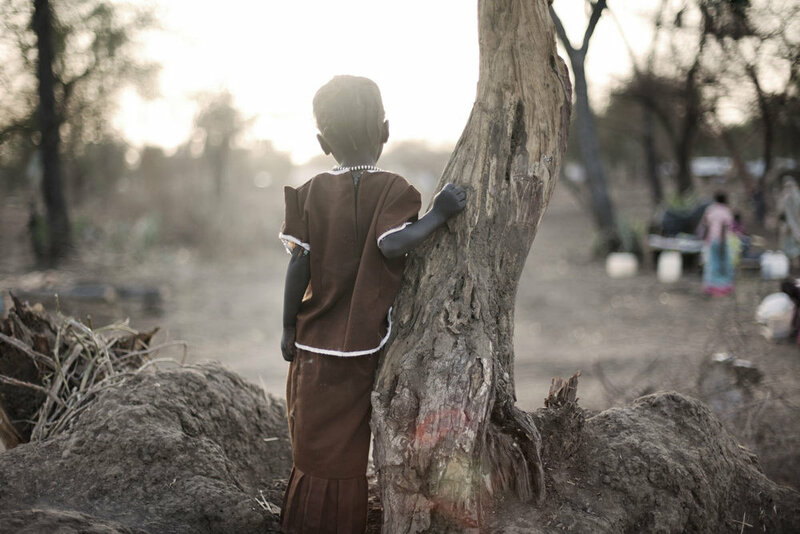 This young girl reminded James of himself when he first joined school in southern Sudan, but there was a major difference. Many of the girls who had started school alongside James did not continue past elementary school due to the insurmountable challenges facing young girls, including physical challenges, care taking responsibilities, etc. Despite constant obstacles, including the uncertainty of war, James was allowed a certain degree of freedom to continue pursuing his education as a young male. Even though it meant fleeing his home country as a refugee, his life was his to make, and this pursuit of education is what brought him from South Sudan all the way to Toronto. The courageous girls who had begun school alongside James, the resilient girls he had taught in Kakuma refugee camp, these young women had missed out on the opportunity to exercise their humanity on the world. Anger alone is a destructive force but anger can become a great fuel. Think of the power in the social movements driven by anger turned into mobilization. These movements fight against the status quo, and point out the spots where our systems have failed us. James committed his anger to envisioning new systems and marching towards them. The Rainmaker Enterprise is a microcosm of the world we wish to see. In a world where the poor are trapped by their poverty and the rich are trapped by their comfort, we are all operating below our human potential. Our essence as human beings is in what we can contribute, what we can create. To realize this state of being, one must first be afforded the opportunity to live a happy, healthy and dignified life. It is this goal that Rainmaker holds above all else. This reality requires bridging the gap between those trapped by comfort and those trapped by poverty. You can support this vision by donating to the Rainmaker Enterprise. A world where women and girls can exercise their humanity is a world that knows no limits. Today, Students for Change brought together a group of formidable women amplifying these efforts, and tomorrow, we will get to work. An International Women’s Day worthy of celebration is one where we are all contributing to creating this world.